This pretty necklace is so soft looking with its pastel colors yet so stricking because of the color at the same time. 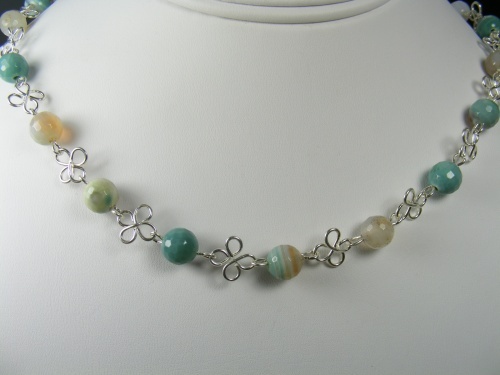 Aquas and light browns and creams, the colors are beautiful with sterling silver 4 leaf clover look alike pieces to make the colors show up even more. Piece measures 17" long and comes with complimentary earrings.